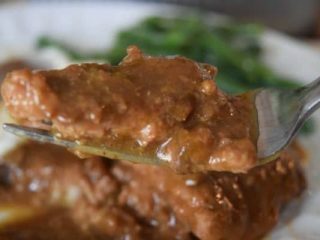 Instant Pot Beef Tips – juicy sirloin beef chunks pressure cooked in a rich delicious gravy until tender ! These melt in your mouth hearty bites are full of delicious flavor! The Instant Pot or electric pressure cooker has fast become one of my most favorite kitchen appliances. As I keep trying out new recipes, I fall more and more in love with this thing. Anytime I need a quick meal, I put on my thinking cap and get to recipe testing. Just like with these beef tips! 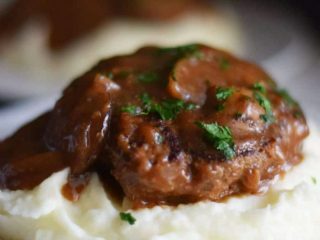 Normally, I cook these in the slow cooker all day to get nice tender sirloin beef tips. Making it this way this meal is ready in under an hour and is just as tender (if not more). It’s such a great way to get a meal on the table for the family fast. This is why I love it friends! If you do not have an Instant Pot add it to you list for Santa! If he needs some help ordering for I have a added a link HERE ;). 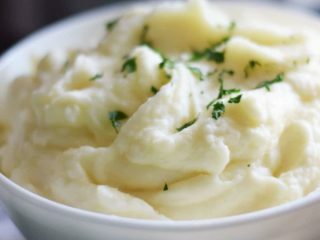 You can always put these in the Crock Pot on low for 8 hours or high for 4 and get great results too! I love to alternate serving this with rice, mashed potatoes or possibly egg noodles to change it up a bit. So pick what your family loves and everyone stays happy! Step 1. 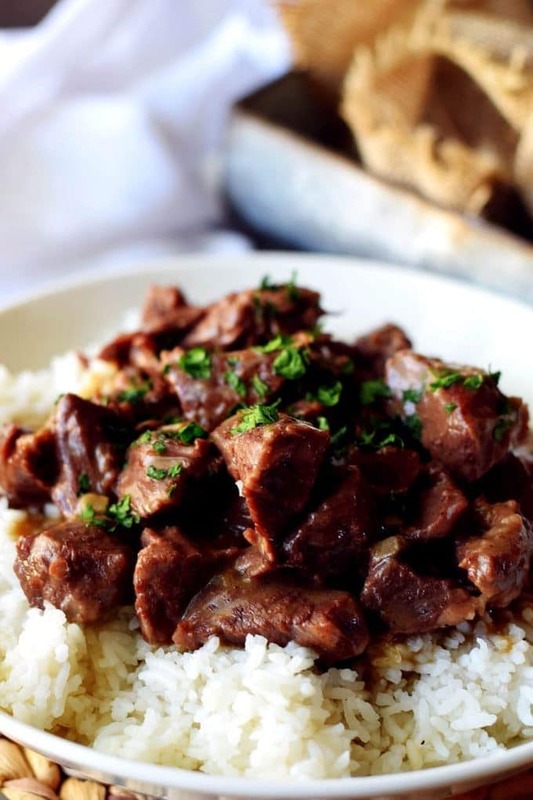 Season sirloin beef tips with garlic salt, pepper and dust or coat with flour ( I do this on a paper plate). Step 2. Set the IP to saute feature. Add oil and let IP to get warm. Place in the sirloin beef tips and saute until browned. This can be done in two batches to not overcrowd the pot. Remove to plate. Step 3. Add in the onion and saute about 1 minute. Step 4. Then add in the wine and beef broth (At this point scrape off any brown bits or flour off the bottom of the pan). 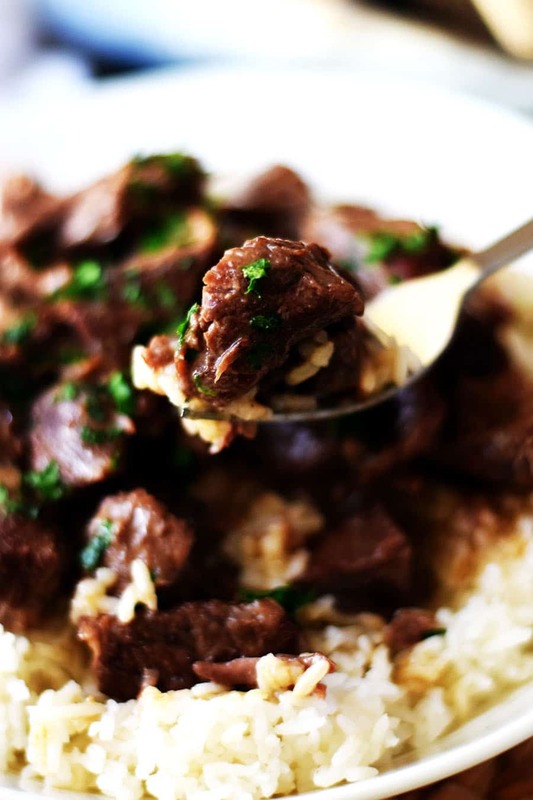 Return the Beef Tips back into the Instant Pot. Give a stir. Next add the cream of mushroom on top. Step 5. Close the lid and make sure the pressure valve is closed. Use the Manual setting on High Pressure for 25 minutes. It will take about 10 or so minutes to come up to pressure and start cooking. I know this looks like a great big mess now, but just wait for the deliciousness! Step 6. Once done let it release naturally. This took about 20 minutes. This allows it to sit and get so nice and tender. Note: If the gravy isn’t as thick as you like take about 1/4 cup of water and add in 2 tablespoons of cornstarch and mix up really good. Set the pot to saute and pour in cornstarch slurry and stir. Let it heat for a few minutes and you are all set! Season sirloin beef tips with garlic salt, pepper and dust or coat with flour (I do this on a paper plate). Set the IP to saute feature. Add oil and let IP to get warm. Place in the sirloin beef tips and saute until browned. This can be done in two batches to not overcrowd the pot. Remove to plate. Add in the onion and saute about 1 minute. Then add in the wine and beef broth (At this point scrape off any brown bits or flour off the bottom of the pan). 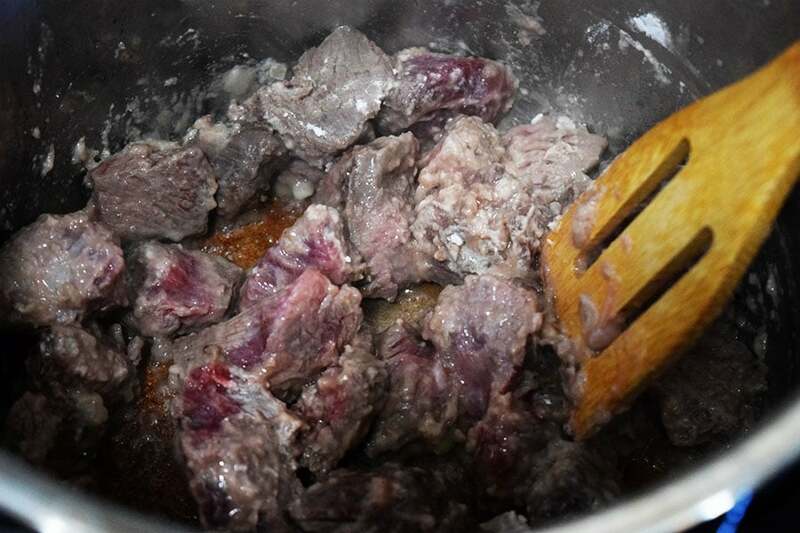 Then add the Beef Tips and juices back into the Instant Pot. Give it a stir. Next add the cream of mushroom on top. Close the lid and make sure the pressure valve is closed. Use the Manual setting on High Pressure for 25 minutes. It will take about 10 or so minutes to come to pressure. Once done let it release naturally. This took about 20 minutes. Once done let pressure naturally release naturally for 20 minutes. You can then manually release by opening the valve to let remaining pressure release. If gravy is not as thick as you desire, in a bowl or measuring cup whisk 1/4 cup water with 2 tablespoons of cornstarch until well mixed. Pour into Instant Pot and stir. Set to warm or saute and let cook a few minutes until thickened. 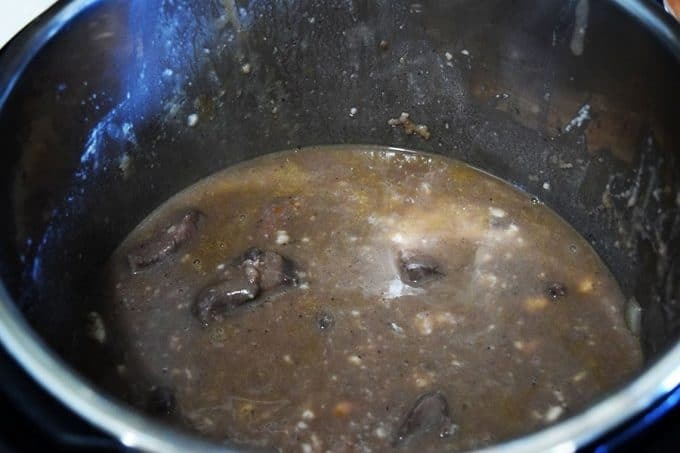 *Make sure to deglaze the bottom of the pan by scraping those brown bits or anything stuck to the bottom when you add in the wine and beef broth. This will preventing it from burning the bottom. And get all that flavor into the broth. 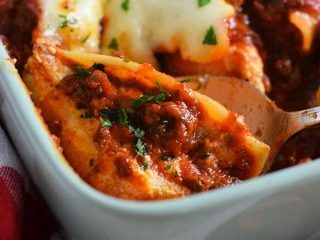 SLOW COOKER RECIPE: This recipe can also be made in a slow cooker. Complete browning in a skillet and pour into slow cooker and cook on low for 8 hours or high for 4 hours. Speaking of Family Come on Over and Join Us!! You will find this and lots of deliciousness over at my favorite link ups Weekend Potluck and Meal Plan Monday! How long in the pressure cooker for a 4 pound roast? If you are cooking a whole 4 pound roast I would cook it from 60 to 80 minutes. I would try 70 minutes. Let it natural release for at least 10 minutes or until it naturally releases. Hi. If I doubled the ingredients, do I double the cooking time from 25 mins to 50 mins?? I have not tested doubling the recipe, but you should not need to double the cook time. Can the mushroom soup be omitted? Yes absolutely. I might through in a bullion cube or two for some added flavor. How could I make this dairy free? Would the golden mushroom soup work as well as the creamy one?? I think that would be a great substitute. I would love to hear how it goes! Honestly one of the best meals I have ever put together. Thank you for sharing. Thank you Martin! I am so glad you enjoyed it! My family loves it as well! I made this tonight and also got the burn notification, most likely did not get all the meat off by deglazing…if I make this again I am going to try sautéing on the stove first then transferring it to the pot. After I got the burn notification I switched it over to a pot on the stove and simmered it until the noodles in a separate pot were done. Was just ok. Yes, that is why it’s so important to get those yummy bits all off the bottom. And it gets those flavor bits in the dish. Brenda, I have not tested this in an 8 or 10 qt instant pot, so I would hate to say for certain. I typically don’t test a new recipe on company. However, I have made this recipe several times and it has always been delicious! How can I do it without the cream of mushroom soup? Ok, I totally get that!!! I was not sure how to direct you because some people are opposed to using cream soups. I hope you enjoyed it! What if I use chicken broth along with the mushroom soup instead of beef broth? Think that will work? I haven’t tried it with chicken broth, but it will work as well. It may change the beef flavor a bit, but I am sure it will still be delicious. Is this real like cooking Red Wine or Red Wine vinegar? Making tonight and wanted to check! It is red wine, not vinegar! I hope you enjoy it! Honestly, I am not quite sure. I have not used the 3 quart one to see how it fits. As long as there is some room for it to come to pressure it should work. If you want to give it a try by cutting the recipe in half, you can see if there would be room for the full recipe. So delicious! Hands down the best dinner I’ve ever cooked. Served with mashed potatoes and roasted broccoli. Yum! Can I cook potatoes in a insert pot with the beef tips? This is delicious! I served it with roasted potatoes and carrots. Thank you so much Kelley! I am so glad that you enjoyed it! Thank makes my day to hear when others enjoy my recipes! My first dinner in my new IP. My meat was mouth watering. Extremely tender. 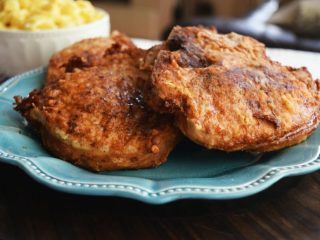 This recipe was a hit in my family!! The only thing I did differently was I used a little over 2 pounds of beef. Since I used more beef I put in a cup and 3/4 of beef broth instead of 1 and 1/2 cups. I didn’t have the wine on hand. The only thing I was unsure about was the “slow release”. I tried to let the IP come down to temperature but after 20 minutes I gave up and did quick release. Awesome recipe!! These look so rich and succulent! Gorgeous dish Nikki. Thank you Karen! It’s a family fav! Great comfort food! Perfect for those cold nights. I have a new insta-pot and am collecting recipes for it, this will most definitely be added to that list! I was so late to the Instant Pot game, now I cannot live without it! We loved this recipe!! It was so amazing! I did add some quartered mushrooms to the recipe and it was the perfect addition. One thing I did notice that it went to “burn” when it preheated. It happened for my parents and my friend too. Yes I did also so needless to say I wasn’t able to pressure cook it until the meat was nice and tender. The flavor was delicious; will give it another try. We had that issue too, even with scraping, I restarted it though and it turned out fine. These IP’s can be temperamental sometimes lol! But this one is a family favorite! I haven’t had mine go to burn yet, but I know it is a common issue people have. This was so good and simple to make! This is definitely a keeper. Thank you! This recipe is so good. My husband loves it! Would cream of chicken soup or one of the jars of gravy stuff work instead of cream of mushroom? My husband is allergic to mushrooms but this looks so delicious!! I am sure you could use either. I have made roasts with cream of chicken and it turned out delicious! This looks really good. I was wondering at what elevation you are at. I live at 7600 feet so need to know how to adjust timing in relation to where you are. I am in Florida about 500 ft, so I am at near sea level. Great question. I believe you will need to adjust about 25%. This was delicious and so easy. My pickiest eater loved it too. Thanks for sharing. Thank you so much Sherie! I love easy meals! This one is a family favorite at my house! Have a wonderful weekend! These beef tips are amazing! It is a good thing they don’t take too long to cook in the instant pot because the smell makes your mouth water! Can’t wait to try some of the other instant pot recipes here! Thank you so much Laura! You have made my day!! I am going to be working on some new instant pot recipes soon! I have loved all the ones I have made so far. I have to get an instapot! 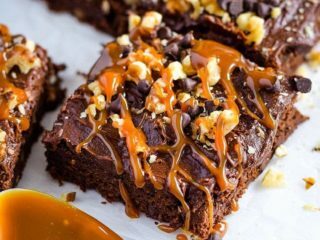 There are so many delicious looking recipes including this one! Yes you do! I love mine! This one is a go to and so easy! I tried this recipe but but a “burn”. Message as it was heating up. What did I do wrong? I am unsure what happened. I have never had mine burn and I make this often. I am so sorry that happened. Most of the time it’s not enough liquid but the amount I add is usually plenty! I know what happened because after I browned the meat I put the lid on the instant pot and just left it on saute. After a few minutes it said “HOT”. I then realized that I needed to set it to MANUAL and set the time. Uh oh! That would do it! So sorry! Now you have a story to tell! You probably had a layer of flour cooked on the bottom of the pan. After searing the meat you need to deglaze with broth to remove any bits and break up all the yummyness stuck to the bottom. I”ve been working on something similar for dinner. I”ll just make your recipe! I looks so delicious and perfect for any night. I hope you love it! It certainly is an easy one you can put together quickly and tastes so yummy! I passed up an Instant pot at Christmas, and posts like these really make me regret that! Well, get that on your list for Santa ?! LOL! I love mine. I still am working on new recipes! This looks delicious. 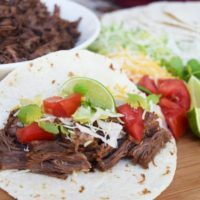 I need to make more use of my instant pot – need to start with this recipe. My husband would LOVE this! Thank you Liz! My hubby and son love this one! I usually make something in mine at least one a week. I am working on new recipes! I’m still learning the “Instant Pot” think and think this would be a great recipe to try with my family. Honestly, I am too! I wished I had gotten one sooner. I keep experimenting with new recipes! This one is delish! What a delicious looking dinner. I have been having having fun experimenting with my IP and I can;t wait to try this! Carlee, I am still doing the same with mine. This was one of the first ones I made in it. So delish! And ready so fast! Always a win on a busy day! 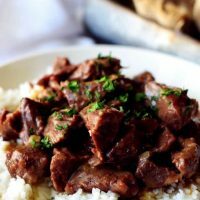 hi, looking up beef tip recipes and came across this! really want to try it…but how would i adjust if the tips were frozen? Thanks! Terri, I have not tried doing this with frozen tips. I would go ahead and follow the instructions. Then test for tenderness and cook another 5 minutes if needed. I am still experimenting with my IP and haven’t used frozen meats. I hear it works well. You wouldn’t be able to use the flour and sear them. But the cornstarch at the end should still thicken for a gravy. This turned out great, and was easy and quick in the pressure cooker! Thanks! I might add green peppers to it next time. Thanks for a great easy recipe for someone that doesn’t cook, so anything that turns out YUMMY is awesome!! 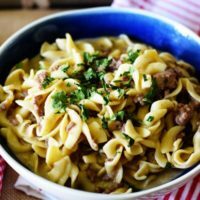 Can Inn Maid noodles be added to this or do I need to change up the recipe a bit? You can use any thing you like to go with it. I haven’t tried cooking the noodles with the beef, it probably would need to be added later. Noodles just take about 4 minutes to cook! Let me know if you try it! I make frozen chicken breasts, egg noodles five cups water, and all the trimmings to make chicken and noodles. Amazing, but it all comes out perfectly. So I received an Instant Pot for. Christmas but just got brave enough to try it out. The beef tips were the first recipe I tried. I thought about it after I locked the lid that maybe it wasnt a great idea due to the cost of the meat but…I can’t thank you enough. My family absolutely loved this dish. My son said it is his new favorite. This is a must try and added to the regular rotation. Just made the Beef Tips for dinner. They were delicious! They didn’t quite look like yours but that didn’t matter. My husband told me that I could make that every night & he would lick the plate every night! Thanks for sharing your recipe. I am so glad you and your hubby enjoyed them. That licking the plate is the best compliment you can give a cook! I find every time I cook something it looks different.I appreciate you stopping by and I hope you come back soon and chat with me! I love hearing from Soulfully Made friends! Yes! Plate-lickin’ good. Made this last night and it was EASY and so delicious. Thank you, Nikki! Marisa you have made my entire weekend! Now that is the best compliment ever! I am thrilled you enjoyed it. 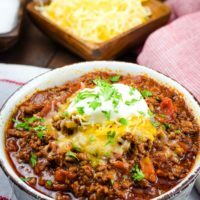 I have been in a mess at my house with some remodeling due to a little A/C flood, so I have been cooking in my Instant Pot a lot lately and am adding new recipes all the time. Hope you come check them out. It is a brand of an electric pressure cooker. Any brand of pressure cooker will work. You can find links in the blog post to one on instant pot if you would like to take peek! You can also make this in a slow cooker or on the stove top, if you do not have one. 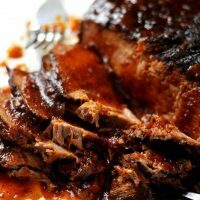 Slow cooker on low for 8 hours or high for 4 to 5 hours. Thank you so much for coming by! I hope you come back again! Is this condensed cream of mushroom soup? If it isn’t can I use condensed and add water like the can says? Yes condensed cream of mushroom soup! Any brand will do! I hope you enjoy Georgeanna! I am so glad you stopped by! Come on back and let me know what you think! What can be used as a substitute for the cream of mushroom soup? My husband hates mushrooms. Also, is there a way to cook either white rice or egg noodles in the instant pot with the beef? I have replaced cream of mushroom with cream of chicken in many dishes and it is delicious! However, my husband hates mushrooms too and he still loves this recipe. I have not tried cooking them together in the instant pot at the same time. It takes far less time for the pasta or rice in the Instant Pot. What do you suggest as a substitute for wine? I got an instant pot at a garage sale recently, and I’m anxious to use. It’s been years since I had pressure cooker. I would just add beef stock or broth to substitute. I know you will love your Instant Pot! Come back and let me know how it goes!